I know I haven’t posted these in order, but I am caught up now. So when looking at the Panama expenditures it is important to note that it was my first country of the trip. As the first place on a long term trip I was especially careful, okay fanatical, with the budget. Panama uses the USD as its currency so there is no crazy exchange rate. 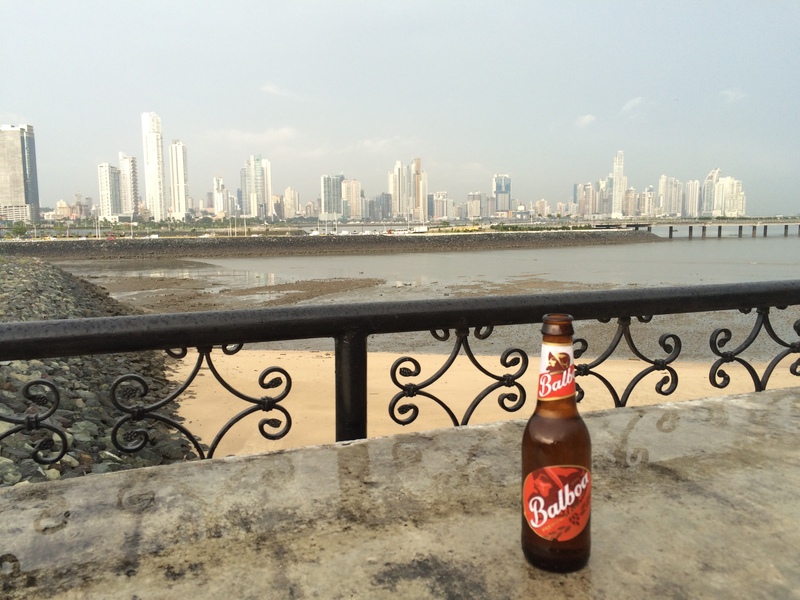 Also, Panama seems to have made it on to the radar of mainstream travelers from the US. For whatever reason, Belize, Costa Rica, and to a lesser extent, Panama are the destinations in Latin America for travelers from the U.S. Most of these visitors have a week or two, and more importantly, a wad of cash. Because of this prices have gone up across the board. I spent the most on accommodation, naturally. I spent $78 on six nights in the hostel but saved with two nights sleeping on planes. The hostel was actual very expensive compared to what awaited me in South America. Overall, I averaged $9.75 per day on housing. A side note on my hostel philosophy, I go for the cheapest hostel with decent reviews. I look for the least expensive room with at least a 7/10 rating on hostleworld.com. I don’t care about how many people are in the room, the more the cheaper it is. I’ve gone as high as 15-bed dorms on this trip. I look for two main things in the reviews: hot water and WIFI. Sometimes it works out, sometimes I can’t be picky. I spent $31 on lunch ($3.87 per day (PD)) and $8 on dinner ($1 PD) for a total of $38 on food or $4.87 per day. While food is a good bargain in Panama, if you go local, it is worth noting that during the two days that I was on planes I did not buy any food. There was no way I was going to blow the budget on obscenely priced airport food. I am not opposed to a little fasting. Thanks to my friend Mark who took me out to lunch during a layover. Frighteningly, I spent almost as much on cabs as I did food. I dropped $36 ($4.50 PD) on taxis, most of that came on the ride from the airport to the hostel. That is another reason I don’t like to fly if I can help it. Bus stations are typically in the heart of the city and much closer to where you are going. Fresh off of quitting my job, I enjoyed some beers. I spent $21 or $2.62 per day. The beers ranged anywhere from $3-$5, not much different from the U.S. The Panama Canal was the only tourist activity that I paid for which cost me $15 ($1.87 PD). I found Panama City quite walkable and enjoyed exploring on foot for free. I also spent $10 ($1.25 PD) on an airport shuttle and $13 ($1.62 PD) on other. In this case other included a switch blade knife ($6) which is illegal in the U.S. but perfectly okay to have in Panama. I just couldn’t resist. In the end, I spent $212 over eight days in Panama for an average of $26.50 per day. This entry was posted in South America, Travel Inspiration.